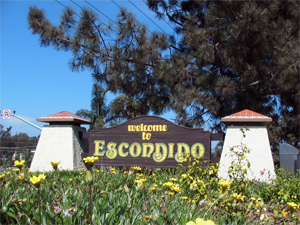 Escondido generally has warmer summers and cooler winters than the coast due to city's location. Temperatures vary from an average of 56° in December to an average of 76° in August, with annual average rainfall of 15.2 inches and 263 sunny days per year. Escondido's climate is mild enough to allow cultivation of avocados, grapes, and oranges. Information provided by the Western Regional Climate Center. For additional information, see Comparative Data for Western States.